TABPHE FELLOWS are an elite group of individuals chosen, with the direction of the State Board of Directors, to work on special projects that support the vision and mission of TABPHE. 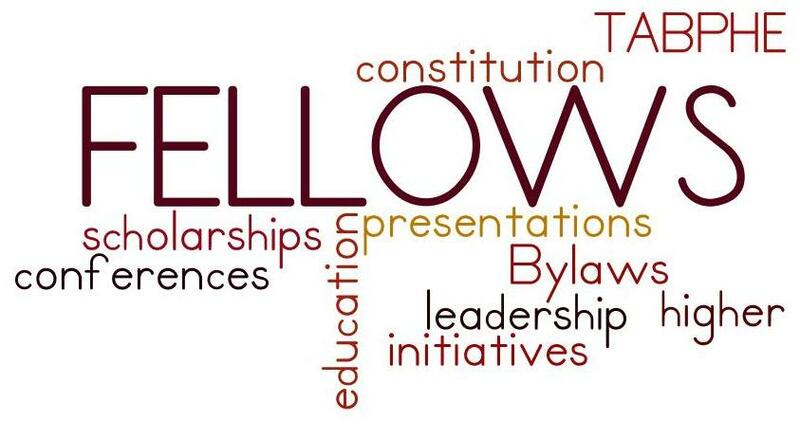 TABPHE FELLOWS Leadership is an initiative to help generate new memberships, regenerate old memberships, and build new leaders for our dynamic organization. TABPHE FELLOWS is a great opportunity to build relationships within the organization and with other African American leaders throughout the state of Texas. Becoming a TABPHE FELLOW is a worthwhile opportunity to help build a stronger TABPHE for years to come. Fill out an application and email it to either of the contacts below. The TABPHE Fellows Program is currently being restructured. Information about the new structure and the application process will be posted by March 30, 2018. All who submitted applications prior to the restructuring will automatically be considered and not required to re-apply.